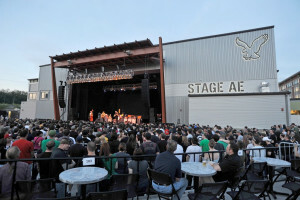 Venue built in 2010 by PromoWest Productions. The outdoor venue, capacity 5500, has elevated areas above the floor for ADA seating. There is enough space for those standing on the floor and those sitting in the ADA areas to avoid conflict. Views are generally good. Staff will facilitate separate entry and bathroom accommodations. Sound system is good. Staff is helpful. There is also an indoor venue.